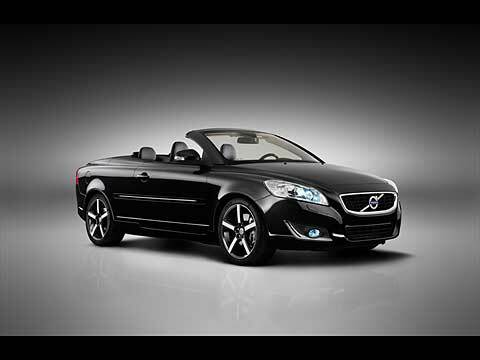 The Volvo C70 convertible reappears in the sunlight in a new Inscription version with a number of unique and desirable features. The Inscription blends distinctive exterior details such as the painted grille and black 18-inch wheels with exclusive interior features, including Sovereign Hide upholstery and a leather-covered dashboard. "The C70 is a true icon in our model range. The Inscription is based on our human-centric Designed Around You philosophy, offering those who love convertibles and coupes a beautifully detailed version with a lot of kerb appeal," says Doug Speck, Senior Vice President Marketing, Sales and Customer Service at the Volvo Car Corporation. 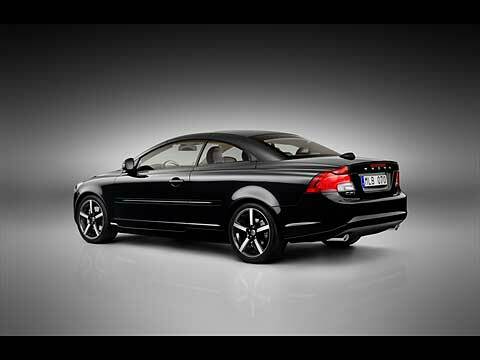 The Inscription can be combined with all the engine options available for the Volvo C70: the turbocharged five-cylinder petrol-powered T5 (230 hp/320 Nm) and the two five-cylinder turbodiesels - the D4 (177 hp/400 Nm) and D3 (150 hp/350 Nm). The Inscription comes in three colours: Black Stone (Solid), Black Sapphire (Metallic) and Ice White (Solid). The stunning 18-inch wheels enhance the exclusive look of the sleek convertible. This expressive version of the "Midir" rim comes in black with polished spokes and outer perimeter. Up front, the high-gloss paint on the grille and the LED Daytime Running Lights, both surrounded by contrasting chrome, give the C70 Inscription a distinctive "face". The C70 Inscription is available worldwide with local adaptations. Production volume is limited to 2,000 units a year.